Taiwan-born conductor Wen-Wen Chou was invited to serve as the music director of Tian Guo Marching Band, New York in 2013. Under her guidance, the band successfully performed The Stars and Stripes Forever, a magnum opus of composer and March King John Philip Sousa, in the United State’s National Independence Day Parade on Constitution Ave. of Washington D.C.. The band also performed The Stars and Stripes Forever while marching across 42nd Street in New York City. Wen-Wen Chou also works with the band on new works and arrangement of Shen Yun composers, including Triumphant Return and The Sacred Song. In 2010, Wen-Wen Chou traveled to the United States and served as the Conductor of the Shen Yun Performing Arts Orchestra, which performed in many major concert halls including the Lincoln Center in New York City, the Kennedy Center in Washington D.C., the National Arts Centre in Ottawa, the Palais des Congrès de Paris in Paris, and the Royal Opera House in London. In Taiwan, Wen-Wen Chou served as the Assistant Conductor of the Taipei Symphony Orchestra, conducting multiple concerts including the Educational Concert and the Future Stars Concert. She has also conducted the China Youth Corps (CYC) Wind Orchestra, Taipei Kiwanis Band, National Taiwan Symphony Orchestra (NTSO) Wind Ensemble, the National Taiwan Symphony Orchestra (NTSO) Youth Band, the Tao-Yuan Symphonic (TYS) Band and the Sound By Ourselves Wind Ensemble (SBOWE). 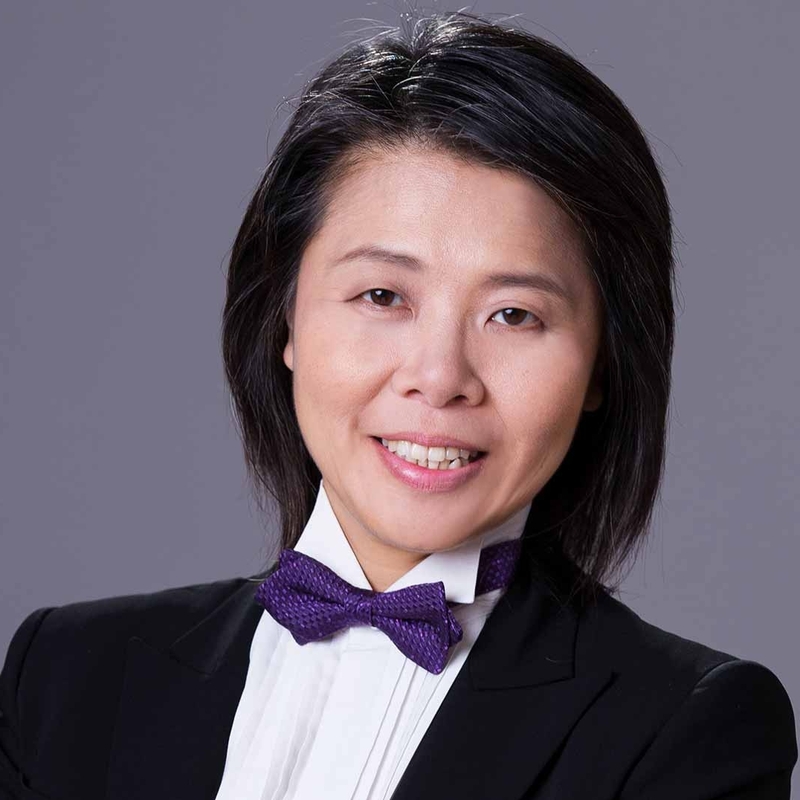 Wen-Wen Chou founded the Youth Vacation Symphony Orchestra, the Alumni Band of Taipei Municipal Hongdao Junior High School, the Taiwan Wind Ensemble, and the Taiwan Youth Band. Over the years, she guided multiple school symphonic orchestras and symphonic bands in the participation of competitions and received outstanding awards. She was invited as the assistant lecturer of the Taiwan Band Association, where she taught Conducting Symposium. She was also invited to conduct the National Taiwan Symphony Orchestra Band Camp. Wen-Wen Chou took the lead in bringing various local orchestras onto the international stage. In 2001 and 2009, she conducted the Normal University Orchestra at Korea’s Jeju Band Festival, in 2003 she was invited to conduct the Normal University High School Orchestra in Japan, and participated in the 7th International Hamamatsu Band Festival, she also guest conducted the Yoshin High School Band. In 2004, she conducted the University System of Taiwan Orchestra on their European tour, in 2005 and 2007 she conducted the CYC Wind Orchestra in Beijing, Tianjin and North Eastern regions in China. In 2005, she conducted the TYSB at the Hong Kong International Band Festival and the Macao Band Festival. In 2006, she conducted The Alumini Band of Taipei Municipal Hongdao Junior High School at the Asia Pacific Band Festival in Macau. In 2007 and 2008 she conducted The NTSO Youth Band at the Chia-Yi International Band Festival. In 2009, she joined the CYC Youth Wind Orchestra and conducted at The World Association for Symphonic Bands and Ensembles (WASBE) Conference in the United States. As well as in Taipei National Music Hall, and premiered the commissioned work of Russian composer Saffinov, Ballade for Trumpet, Piano and Wind Orchestra. In 2010, Wen-Wen Chou conducted the Taiwan Youth Band and Kang Chiao Bilingual High School Band and performed in Chia-Yi International Band Festival. She was then invited to conduct the Taiwan Wind Ensemble in Tokyo, Japan, and a Joint Concert with Omiya Civic Band led by Wind Master, Toshio Akiyama, the performance was well acknowledged by the Japanese music community. Wen-Wen Chou founded the Youth Vacation Symphony Orchestra (YVSO) in 1993. With YVSO, she worked with Violin Virtuoso Su, Sien-Ta, Tuba Soloist Tuan, Fu-Shuen, French Horn Soloist Kathy Y. C. Wang. Wen-Wen Chou served as the conductor of the Wind Ensemble of National Taiwan Symphony Orchestra, conducting various concerts including the Welcome Millennium concert, the September 21st Post Earth Quake Concert, and the Capriccio Espagnol concert. In 2001, Wen-Wen Chou founded The Alumni Band of Taipei Civic Hong-Dao Junior High School and performed in concerts regularly. The band received 3rd place award in the College and Community Division of the Taiwan Band Association Competition. The band was invited to perform at the Asia Pacific Band Festival in Macao in 2006, and in Chia-Yi City in 2008. In 2004 Wen-Wen Chou founded the Taiwan Wind Ensemble (TWE), and conducted in multiple concerts including the Debut Concert, the Demonstration Concert of TBA Band Competition, the Taipei City Community Concert Tour and the Grassroot Tour funded by the Ministry of Culture, the band received positive reviews widely. Wen-Wen Chou directed the band in multiple style concerts, including the joint performance of the Enchanting Fire concert with Centro Flamenco Taiwan, the Golden Corner by Classical Master Composers, the New Era of Winds, a piece marking the milestone of wind composition by national composers, the Fantasy World of the Sorcerer’s Apprentice and Toy Secret Agent Fantasy with The Clown Mime Group, the “Shall We Dance” concert with Fei Shun Ballroom Dancing Group, and the Chinese-Japanese Exchange Concert Series. In 2011, the TWE was invited to perform in the World Association of Symphonic Band and Ensemble Conference, where the band made its presence in the worldwide music community. In 2009, Wen-Wen Chou founded the Taiwan Youth Band (TYB). The TYB performed at the May Debut Concert Reborn of the Music Fire and was invited to perform at the Taichung County Instrument Festival and Malaysian Johor-Private High School Band Festival. In December, the TYB held the Mountain City Band Music concert. In 2010, the TYB held multiple concerts, including the Fun Deutsche and the Clarinet Sandwich concerts, and received great reviews. Born in Chang-Hua County, Taiwan, Wen-Wen Chou is a graduate of the National Taiwan Normal University (NTNU), with a bachelor degree in music and a master’s degree in conducting. Her mother Lin, Chun-Mei mentored her on conducting; she then studied under Professor Chang, Ta-Sheng, Professor Liao, Nian-Fu, Professor Yeh, Shu-Han and internationally-renowned Russian conductor and pedagogue, former Music Director of The Bolshoi Theater, Maestro Vladimir Vais. During her school years, Wen-Wen Chou often conducted the NTNU Symphony Orchestra as well as the NTNU Chorus Choir. After graduation, Wen-Wen Chou served as the director of the NTNU Symphonic Band, which she conducted in the national tour and international performances.